You are here: HomenextPlacesnextThe Tilbury HotelnextGrand Day Out!! This fantastic picture shows my grandmother with other members of the Tilbury Hotel staff going on a ‘works’ day out. I think it is about 1890 and her name was Amelia Tucker. She worked in the laundry and also did some cooking at the hotel. 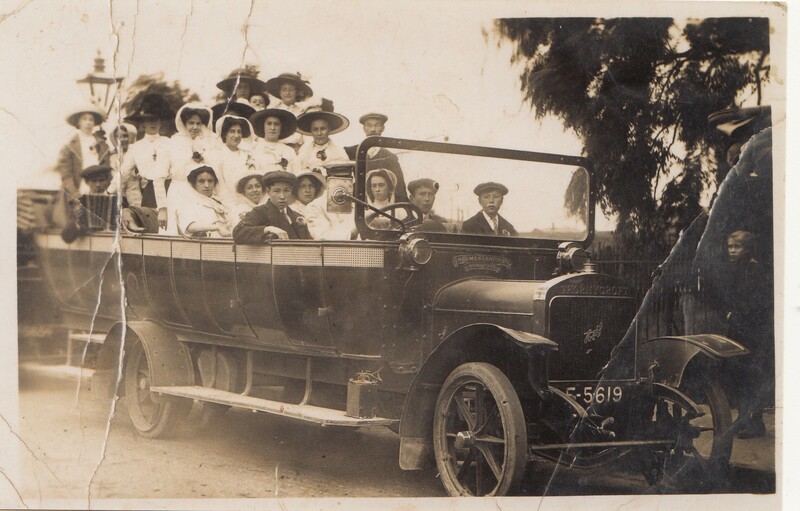 The Charabanc looks so grand and the women in their posh bonnets. Does anyone else know anything about this trip…………where were they were going or who else is in the picture? I love the man with the accordion, who I am sure would have provided the music for the trip!